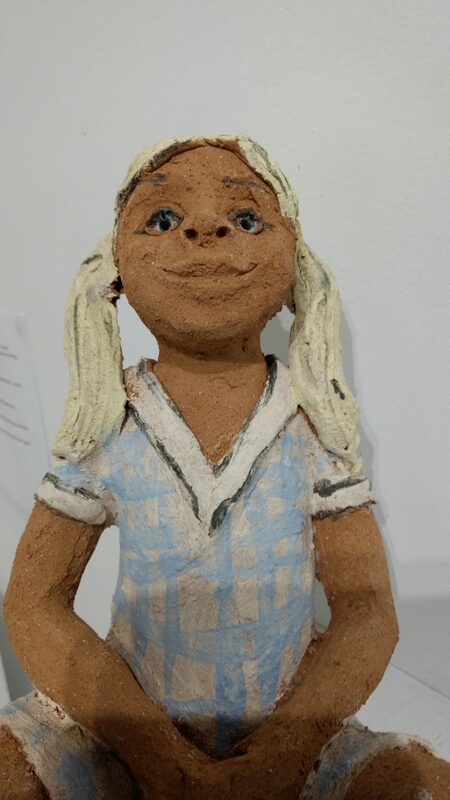 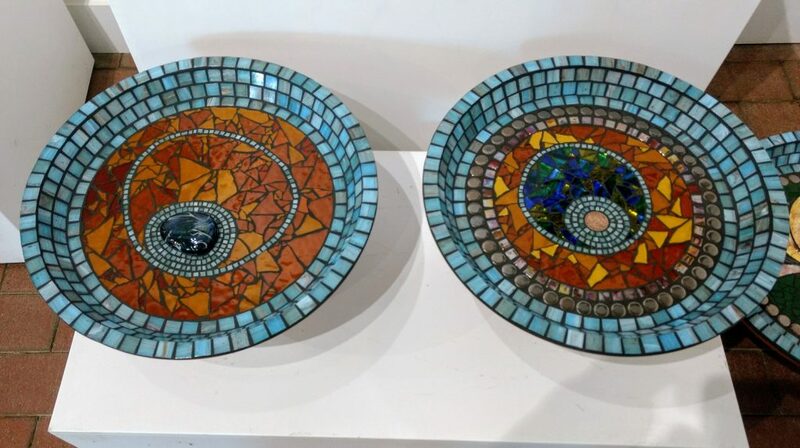 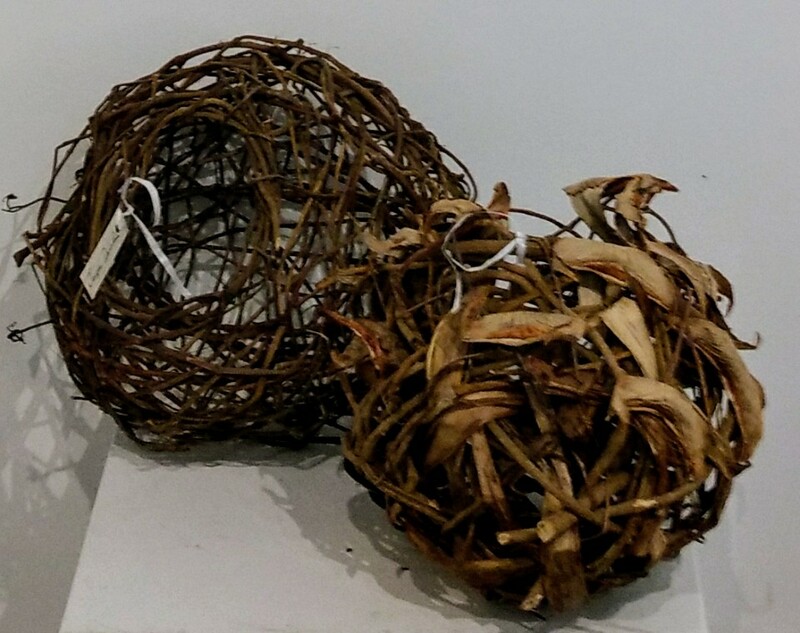 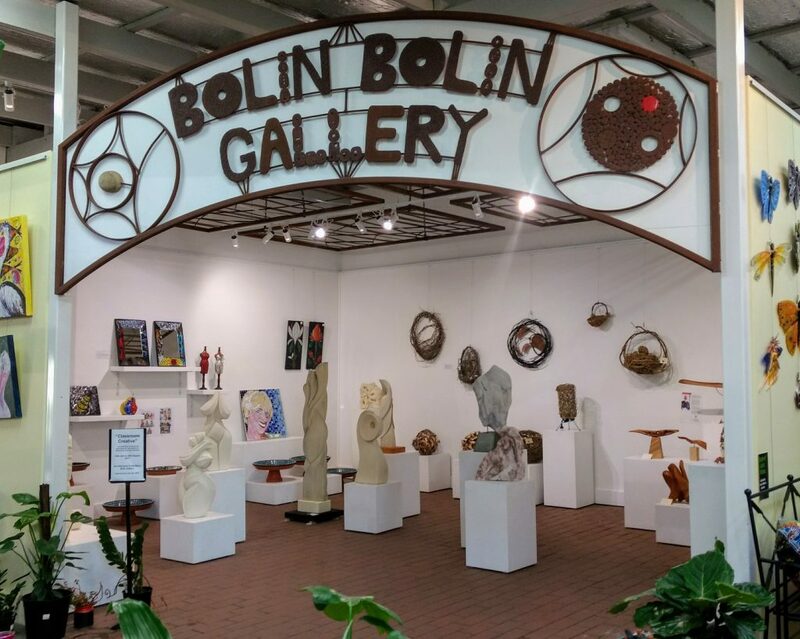 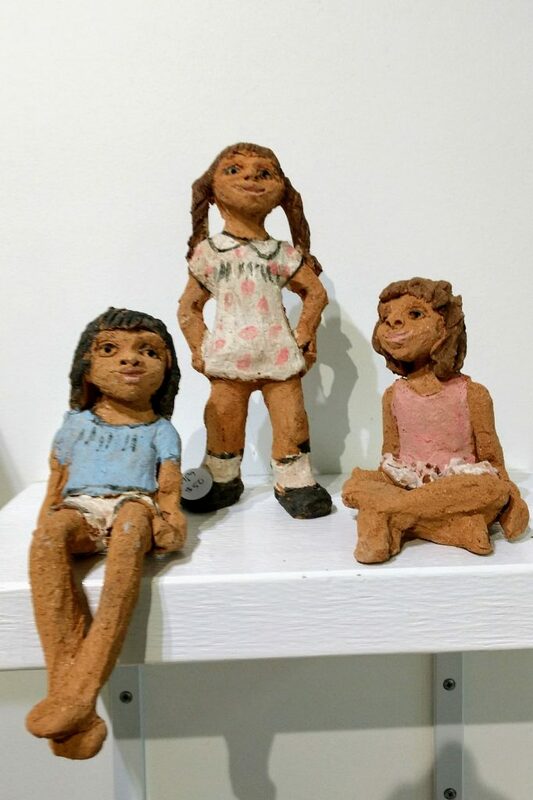 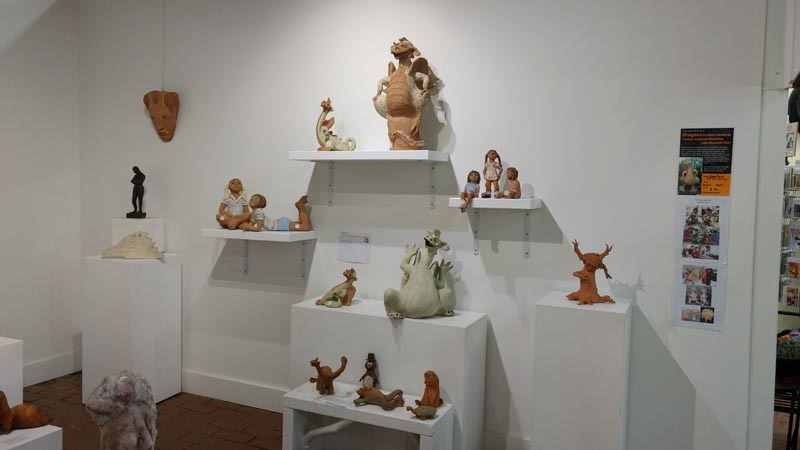 The new exhibition in the Bolin Bolin gallery showcases limestone and ceramic sculpture, mosaics, and baskets created by participants in our art workshops (pictured above), and workshop teachers Sandra Bain, Jenny Whiteside, Jeanette Carter, and also Kevin Free. 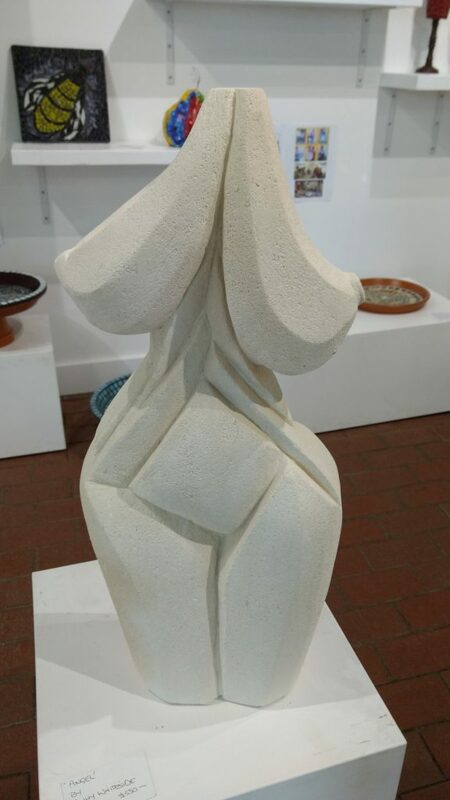 These workshops started in 2000 when limestone sculptor Kevin Free suggested the possibility. 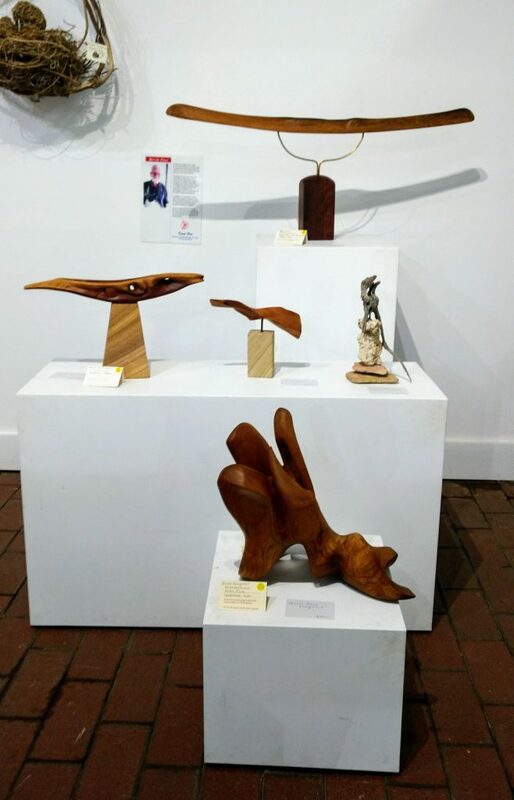 They aim to encourage students to discover their creative potential, and learn new techniques. 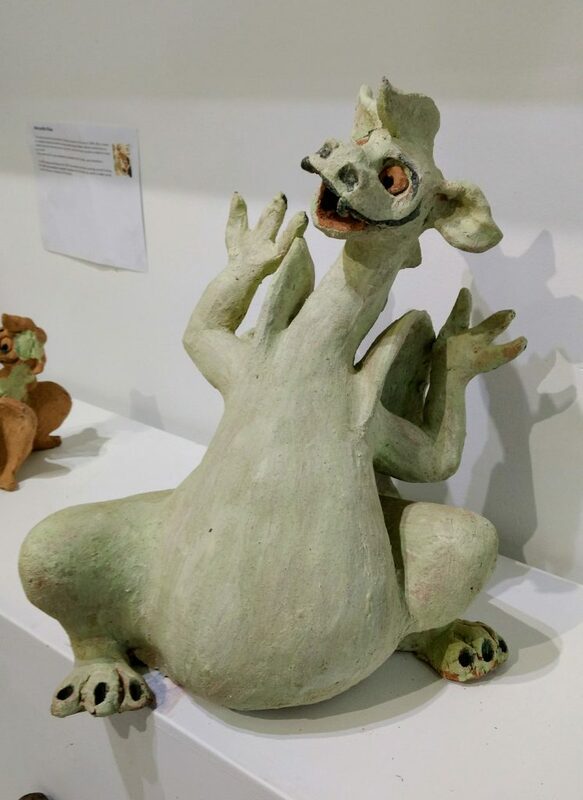 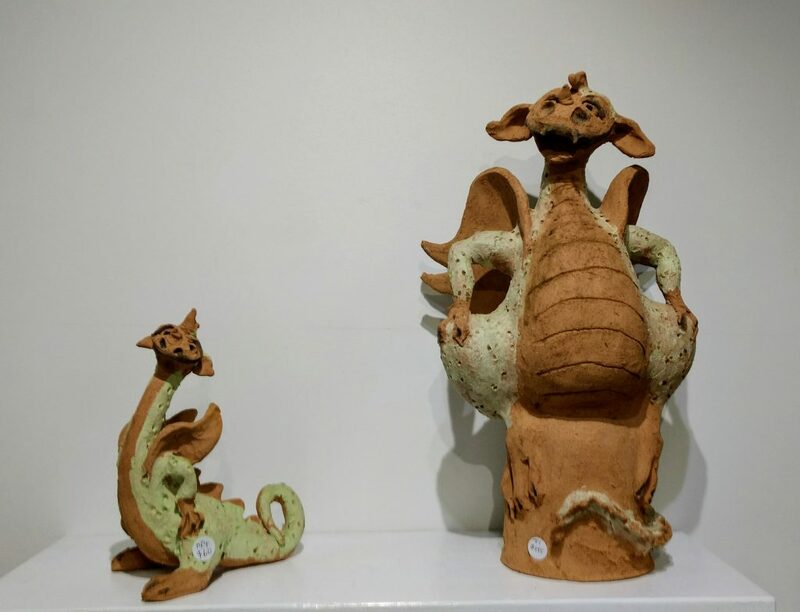 We have a range of work by students, including Bronwyn who attended limestone, clay and mosaic workshops in the early 2000s and has continued sculpting ever since, John’s first sculpture from 2005 and a one made while demonstrating at MIFGS this year, mosaics by a mother and 11 year old son, baskets by a mother and daughter, and some more recent mosaics and sculptures by students discovering their abilities for the first time, or trying a new medium.